COMPAY IS THE CUBAN WORD INDICATING A FRIEND YOU HAVE A VERY FAMILIAR RELATIONSHIP WITH. 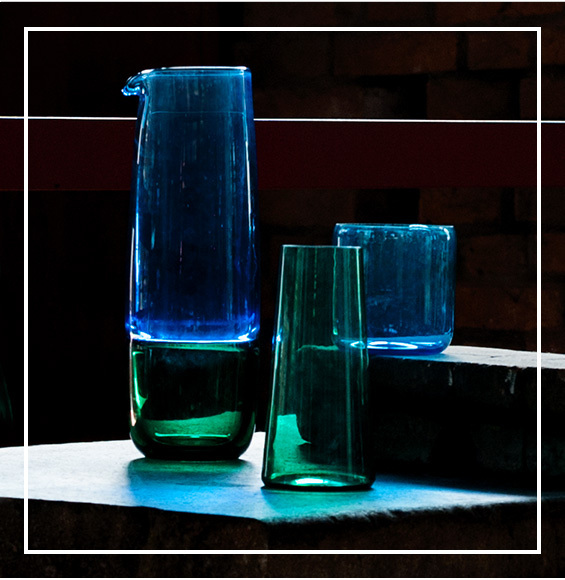 THE COLLECTION IS INSPIRED BY THE CONVIVIALITY AND PARTY ATMOSPHERE OF CUBA AND IT OFFERS A SET COMPOSED OF A CARAFE, A GLASS FOR WATER AND A FLUTE, ALL MADE WITH MURANO GLASS, WHOSE PECULARITY IS THE SHAPE. 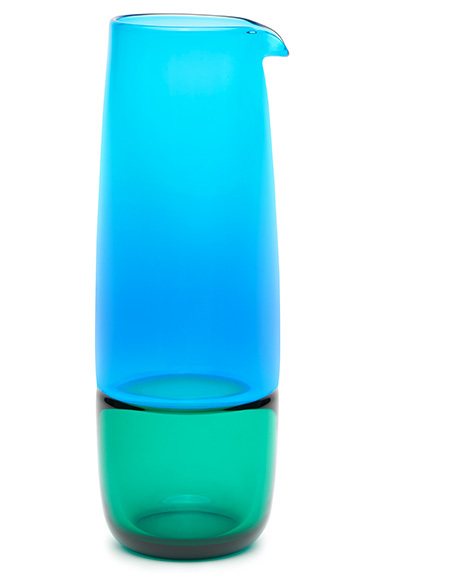 THE LOWEST GLASS, FOR WATER, HAS SOFT AND ROUNDED LINES WHILE THE FLUTE IS SLENDERER WITH TAPERED AND ELEGANT SHAPE. 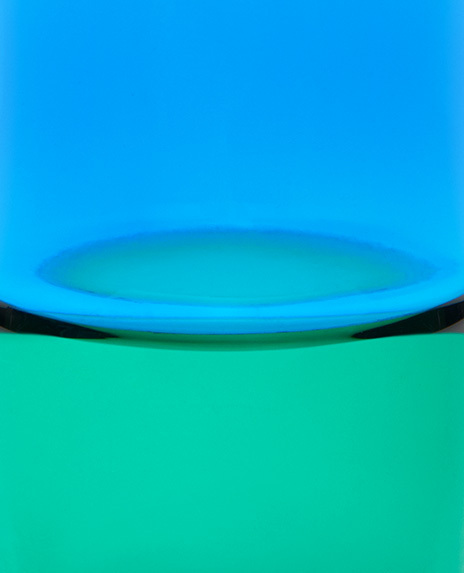 THE TWO OF THEM, OWING TO THEIR MATCHING COLOURS, CAN STAND TOGETHER ON THE TABLE JUST LIKE TWO FRIENDS. THE CARAFE BRINGS TOGETHER IN ONE PIECE THE SHAPES AND THE COLOURS OF THE TWO TYPE OF GLASSES AND IT IS MANUFACTURED THANKS TO THE MURANO TECHNIQUE CALLED “INCALMO”. It is the design studio founded in Treviso by Giorgia Zanellato and Daniele Bortotto . Both graduated at the Ecal of Lausanne, they started working together in 2013 with the Acqua Alta project, a collection dedicated to the city of Venice presented at the Satellite Show in Milan. Since then, they have collaborated on various projects with Italian and international brands. Some of their pieces have been exhibited in important galleries and museums including the MAXXI of Rome, the Triennale of Milan, the Poldi Pezzoli Museum in Milan and the Venaria Reale in Turin. 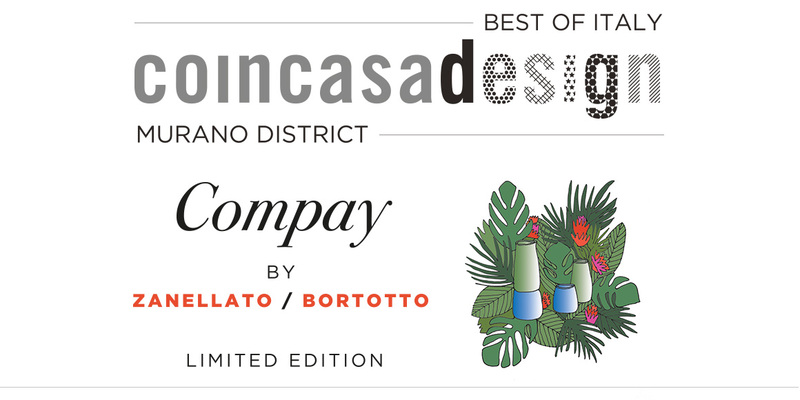 Among the prizes received, the NYCxDESIGN award by Interior Design Magazine (USA) in 2016 and the Red Dot Design Award in 2017 for the Stories project for Cedit Ceramiche d'Italia.